Jim Blanchard has dedicated his life to public service and law, serving with distinction as governor of the State of Michigan, ambassador to Canada and a member of the United States Congress. Currently, he is partner and Chair Emeritus, Government Affairs for the global law firm of DLA Piper and vice chairman of the National Archives Foundation in Washington, DC. Governor Blanchard currently serves as co-chair of the Ambassadors Circle for the National Democratic Institute (NDI) , a non- profit, non- partisan organization working to support and strengthen democratic institutions worldwide through citizen participation, openness and accountability in government. Most recently, Mr Blanchard also served as Chairman of the Meridian International Center, a leading public diplomacy center in Washington, DC. Governor Blanchard currently serves on the board of directors of The International Spy Museum also in Washington. Jim Blanchard is also a frequent guest on both US and Canadian television news programs, including MSNBC, FOX Business, CBC, CTV, CBN, as well as Michigan TV and radio talk shows. Mr. Blanchard was named ambassador to Canada in May 1993, after serving two terms as governor of Michigan (1983-1991) and four terms as a member of the United States Congress (1975-1983). In 1992, he chaired President Bill Clinton's successful campaign in Michigan. In 2008, he co-chaired Hillary Clinton's successful presidential primary campaign in Michigan and represented the campaign before the Democratic National Committee's Rules Committee. Governor Blanchard is also former chairman of the Democratic Governors Association and the National Democratic Platform Committee, as well as a former member of the National Governors Association's executive committee. During his tenure as ambassador, Mr. Blanchard managed a broad range of trade, natural resources, environmental and national security issues between the United States and Canada, providing support critical to the passage of both NAFTA and the Open Skies Agreement. Commenting on Mr. Blanchard's role in the Open Skies Agreement, Canadian Prime Minister Jean Chrétien said, "Tomorrow, we will show the world that even the sky is not the limit for our relationship as we sign an open skies agreement. It will enhance what is already the largest bilateral air relationship in the world. Ambassador Blanchard has played a key role in these negotiations, and he has done a fantastic job here in Ottawa. I want to take this opportunity to salute him." Governor Blanchard's eight years as Michigan's chief executive were notable for his success in turning around Michigan's finances, working with the private sector to attract business investment and trade from around the world. He won national acclaim for his innovative approaches to economic development, education, crime fighting, environmental protection and helping children and families. On January 1, 1983, he took over what was described as "the toughest governor's job in America." His state faced a $1.7 billion deficit, the threat of bankruptcy, record high unemployment of more than 17 percent and the worst credit rating in America. Working with leaders of business, labor, education and local government, the governor put together a strategy for Michigan's future and made the tough decisions necessary to keep it on track. Jim Blanchard completed his work as Michigan's 45th governor having balanced eight consecutive state budgets, boosted the state's credit rating to AA, established a $422 million "rainy-day fund" and produced a solvency dividend of more than $1 billion in savings from reduced borrowing costs. His aggressive small business and economic development efforts helped create more than 650,000 net new jobs, improve the business climate, increase companies' global competitiveness and make Michigan's economy 35 percent more diversified than it had been a decade earlier. Most noteworthy, Blanchard initiated Michigan's first Office of the Great Lakes and created the Michigan Education Trust (MET), the nation's first tuition guarantee program. He was reelected 1986 by the largest margin of any governor in Michigan history. Newsweek credited Governor Blanchard with leading "one of the most dramatic economic turnabouts in the recent history of state government," and national publications such as US News and World Report listed him among the best governors in America, one of the innovators and energizers who made things work in an era of declining federal aid. Before running for governor, he served in Congress. During his four terms in Congress, he distinguished himself for his work to save the Chrysler Corporation, restore America's economic competitiveness, and oversee financial, monetary, trade and energy issues. Major assignments included the House Banking, Finance and Urban Affairs Committee, including its subcommittees on Economic Stabilization, Housing and Urban Development, International Trade and Domestic Monetary Policy, and the Science and Technology Committee. He performed oversight of the Federal Reserve Board and participated in meetings of the International Monetary Fund. Prior to his election to Congress, from 1969 to 1974 Governor Blanchard was assistant attorney general of Michigan. Jim Blanchard remains active in Michigan and in US-Canada relations. He serves as co-chair of the Canada-United States Law Institute, a forum where the two countries' governments, business communities, legal professionals, academics, non-governmental organizations and the media address issues confronting US-Canada relations. In 2008, at the invitation of former Prime Minister Jean Chretien, he was a special guest at the InterAction Council’s 26th Annual Plenary Meeting in Stockholm. The InterAction Council brings together former world leaders who look beyond the immediacy of current issues and the limitations of national interests to focus on the long-term structural factors driving the global agenda. Its three priority areas are peace and security, world economic revitalization and universal ethical standards. In 1997, Governor Blanchard authored Behind the Embassy Door, a book highlighting his experiences as ambassador. He serves on the board of directors of several corporations and, in February 2005, co-chaired the American Assembly project on US-Canada relations, hosted and sponsored by Columbia University. The respected English research publisher Chambers & Partners recognizes Mr. Blanchard in Chambers USA: America's Leading Lawyers for Business, and has commented that he is a "fine lawyer" and "heavy hitter" whose clients call him "hugely dependable and extremely efficient" with "keen strategic insight" and "an exhaustive knowledge of governmental processes." 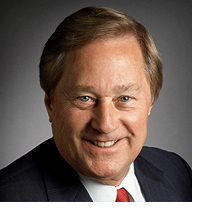 Over the years Jim Blanchard has received numerous honorary degrees and awards, most recently in 2015 "The Distinguished Warrior" Award" from the Urban League of Detroit and Southeastern Michigan and "The Henry T. King, Jr. Award" from the Canada-United States Law Institute in recognition of his dedicated leadership to the institute. Jim is married to Janet Blanchard and resides in Beverly Hills, Michigan. Their son, Jay, lives in Birmingham, Michigan.